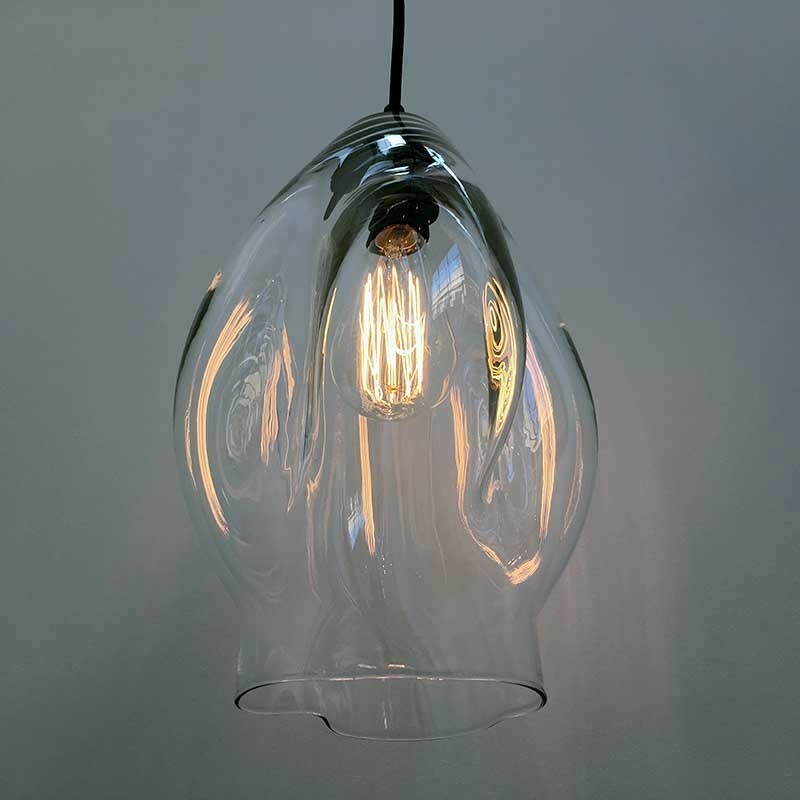 Molten hot glass shaped and blown by hand at around one thousand degrees celcius. 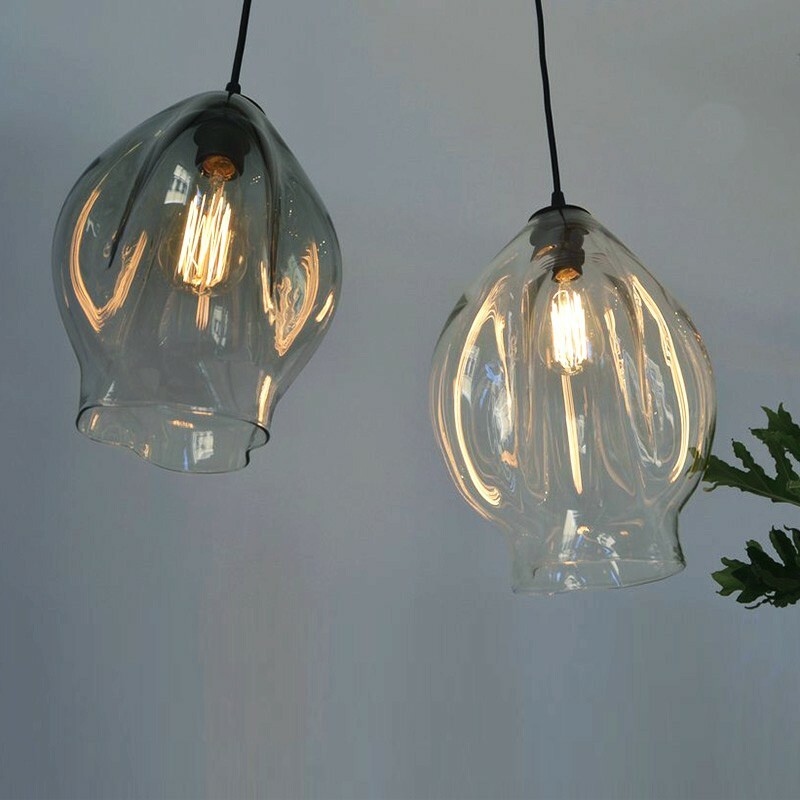 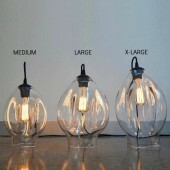 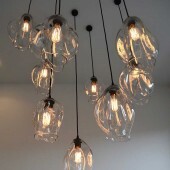 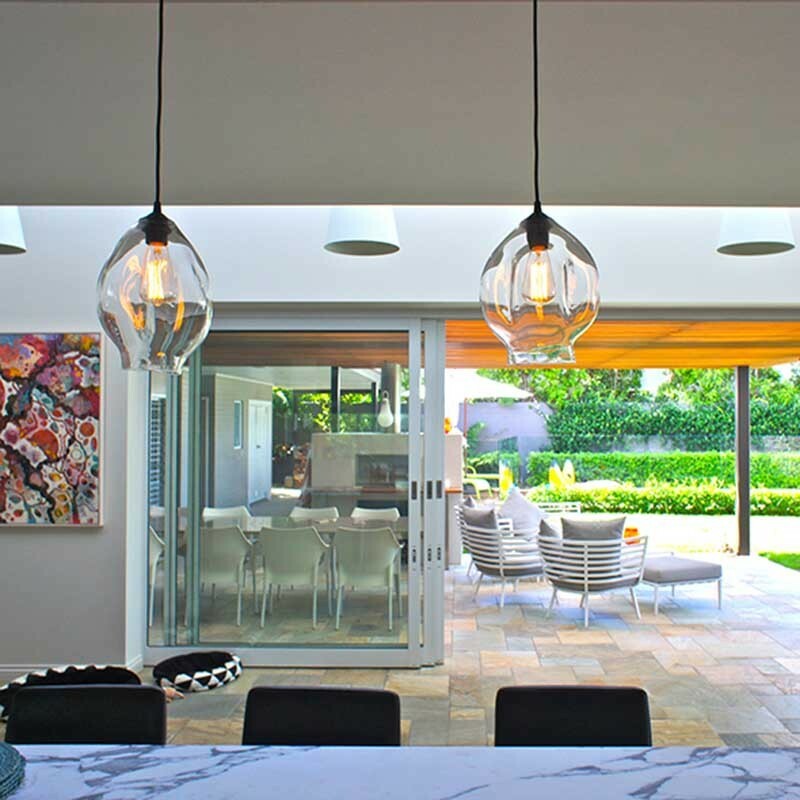 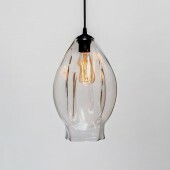 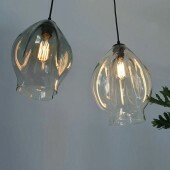 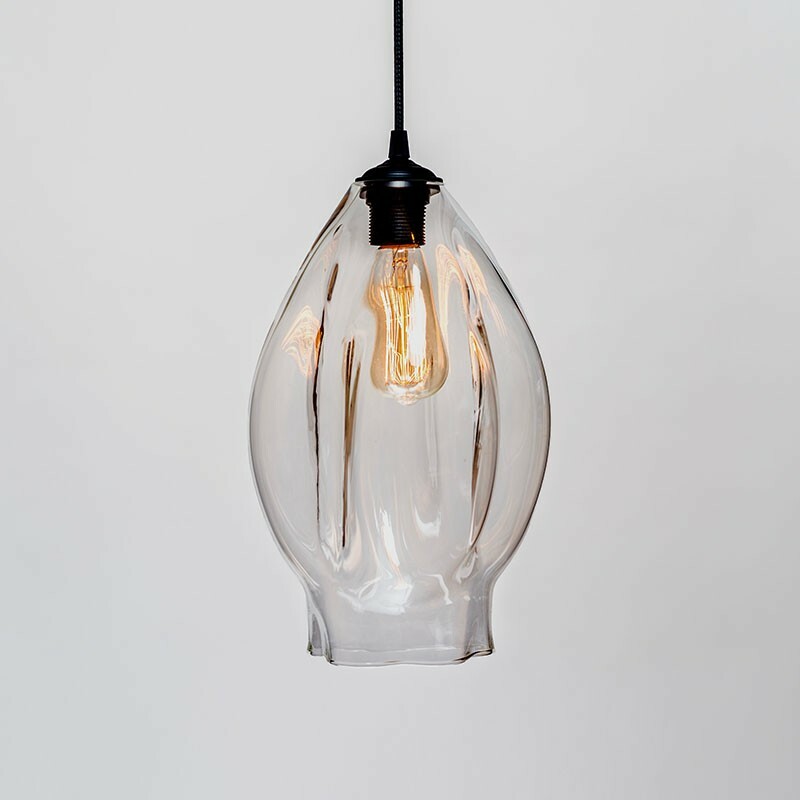 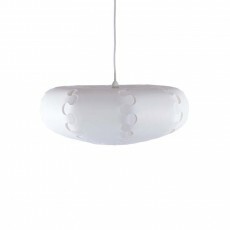 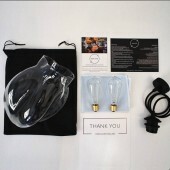 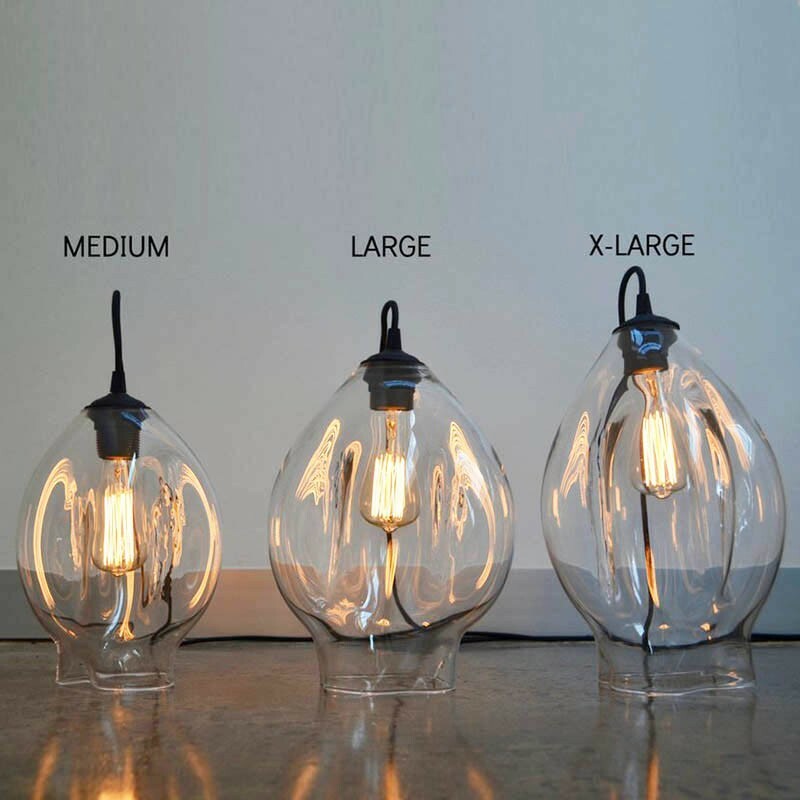 A warped teardrop shape made with clear glass to dress an original filament bulb. 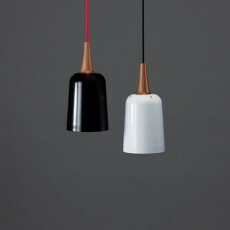 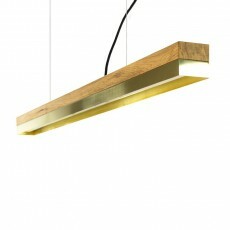 The filaments shine and refract off the contours of the vølt to give a unique one of a kind design. 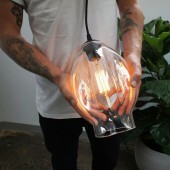 Quality clear glass shaped and formed by hand using unique free form techniques are used to create VØLT. 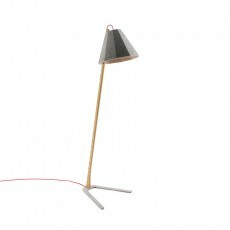 Includes a 1000mm black flex cord, black roof canopy, black E27 German made lamp holder and carbon filament 25 watt screw bulb. 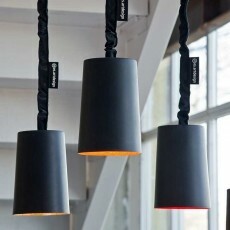 Additional black flex cord length available upon request.